Not a fan of sardines? My sardine cakes may just change your mind. 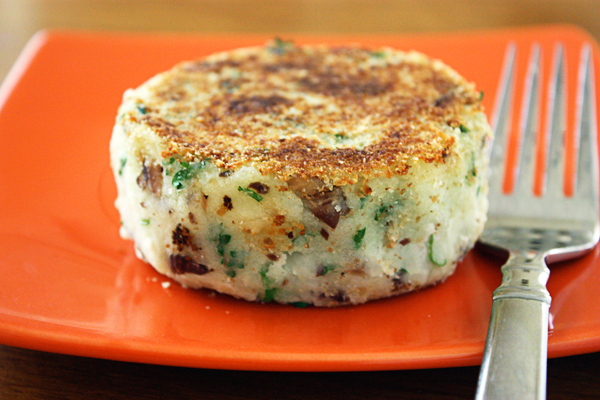 These delicious mashed potato patties are filled with bits of green onions, parsley, and fish, and they can be ready to eat in 30 minutes (make that 10 minutes if you have leftover mashed potatoes). This healthy recipe starts with a big russet potato, which you boil and mash, and then you mix in a few ingredients, shape the patties, pat them into bread crumbs and brown in olive oil. I make my own plain whole wheat crumbs but you can use store-bought either plain or seasoned. I don’t season the crumbs because there is so much flavor in the patties, it’s almost too much. Let’s talk about why they call them “health food in a can.” Sardines are full of omega-3 fatty acids to protect the heart and are one of the few foods that contain coenzyme-Q10, which also helps prevent heart disease. Besides being a good source of protein, sardines also support bone health by providing calcium, magnesium, and vitamin D. But wait… there’s more. They also have iron, selenium, potassium, zinc, all the B vitamins. 3 Comments on "Sardine Cakes"
Thanks for the healthy idea. I will check out your recipe. We eat potatoes and fresh water fish I catch. Nice to incorporate other ingredients. 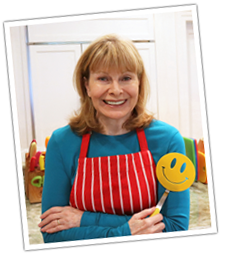 Enjoy your passion and sharing your family recipes on Polish cooking.